Having a baby changes you, we all know that, but one of the biggest changes I had to make was to my spending! My grocery bill, in particular, was ever so slightly out of control. 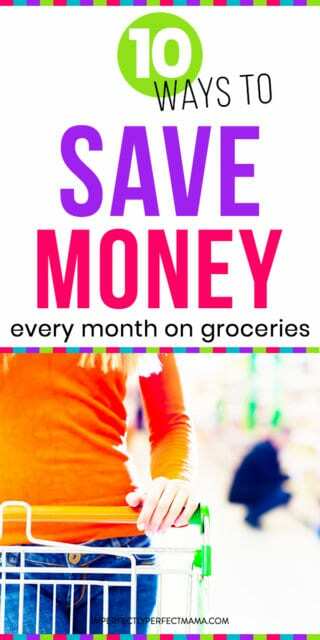 I had to learn how to save money grocery shopping pretty fast in order to financially survive maternity leave and the easiest way I found was to save money on groceries. I’m going to share with you 10 ways (I learnt during my sleep deprived early months of mat leave) to save money on my food bill. When I went off with my first baby my income dropped massively and by the end we were living off just my husband’s salary. It was a rather large wakeup call. Add to this that I really wanted to go back to work on a part-time basis or even try to start my own small business from home so maternity leave was almost a test to see if we could live on a lower income. I had to find ways to save money each month and stick to it! We used to spend a fortune in our house on food. There was very little thought or planning that went into what we were going to eat or buy each week. It was all pretty spontaneous (well, this was Before Kids after all!) and last minute. Add these two elements together and the result was a skyrocketing food bill. 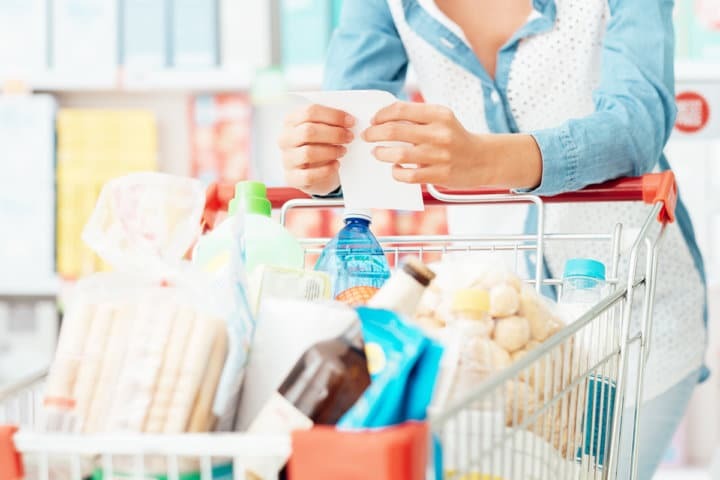 So if you’re looking for ways to save money on your food shopping, here are the 10 top tips that helped me to cut my food bill in half! This is THE single biggest factor in cutting our food bill. Not only that but by planning our meal menu once a week it has saved me time and stress. If you turn up to the supermarket each week with no idea of what you already have at home or what you are going to eat that week, you will either end up with things you don’t need or not enough of what you do need. Are you tying up money in 35 tins of baked beans (or in my case, this was always tinned tomatoes and part baked baguettes) cos you forgot to check your cupboards? Are you throwing money in the bin with every mouldy piece of food you have to chuck out? Or maybe you’re having to do a much pricier top up shop at the local convenience store around the corner where the mark up is ridiculous?! Don’t get me wrong, planning what we will eat for the week and writing a shopping list is up there with cleaning the toilet as one of my fave jobs to do. Number 1 housewife I am not! But trust me, it gets easier and quicker the more you do it. There are shortcuts like setting up a favourites list with your online supermarket of choice or using meal planning apps. 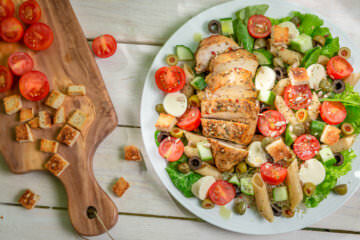 Here is a great post on 5 Meal Planning Apps and an Easy Meal Idea Hack to help you with your meal planning. So write your plan, check what you have already in your cupboards and write your shopping list. Ok, of course, you can occasionally but let it be an exception rather than the norm. Don’t be seduced by the offers, you almost certainly don’t need them. Identify the day when you tend to pop out for a top up shop. Change it so that this is the day you do your full shop. Top up shops are the root of all evil. This is how I instantly cut out £100 a month (at least!) from our food budget EVERY month. I found that we were always doing a top-up shop on either Saturday or Sunday (sometimes both!). Well because this is when my husband is off and he’s a bad influence! Also because the weekend is for treats – right?! So I started doing my food shop on a Friday. That means that, over the weekend, when I used to be most vulnerable to the dreaded top up shop, we would have plenty of delicious food in. Sometimes, for a family, seven days between shops is just too long. You’ve either eaten everything and so are doing expensive top up shops to tide you over. Or all your veg has gone off and so you’re eating mostly beige, freezer food by Day 6 and 7 and worry about the kids getting scurvy. The key here is that you adapt your spending at each shop accordingly i.e. you don’t spend the same amount every five days as you would every seven obviously! This is often easier said than done with two young children to look after but planning out what we will be eating for the week really helps here. If I know what we’re having I can prepare everything in advance. Most of the meals I make are quick and easy and for the kids, I always pack in as much veg as I can (sorry, that sounded really #smugmum – they defo don’t always eat the veg!). using up my leftovers (the other week I actually made fish cakes using leftover mash and the kids loved them – watch your back Jamie Oliver!). We all deserve a treat every now and again. How tempting is it to pop into a café for coffee and cake when you’re out and about with the family? Going to a café is one of life’s simple pleasures. As is having an ice cream on a hot, summer’s day. BUT an ice cream can set you back upwards of £2.50, while for coffee and a cake you’re looking at at least £5. Multiply that by four for the average family and you can see how it all adds up. I’m not suggesting for one minute that you never do this again. BUT one way we managed to cut back our coffee and cake habit was to have something delicious waiting for us at home. In the summer, I make sure I have a multipack of my son’s fave ice-creams stashed in our freezer. I can get a pack of four for the price of one ice-cream that I’ve bought from a kiosk. To curb our café habit I make sure we have something just as tempting at home. 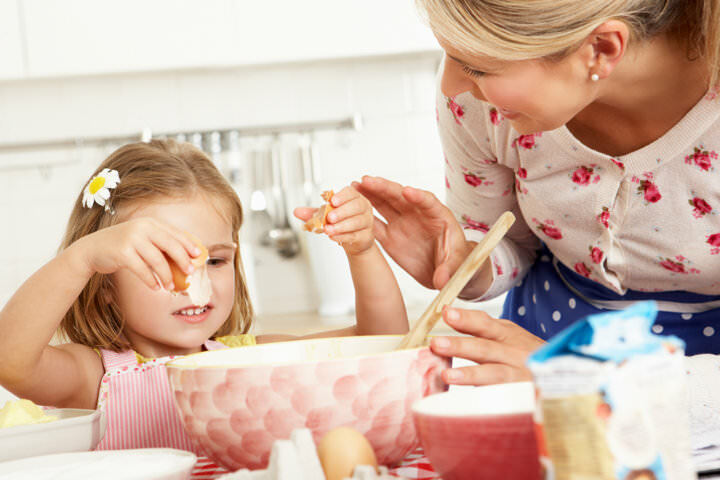 I LOVE baking and my son loves making delicious fairy cakes, chewy flapjacks and chunky chocolate chip cookies with me. Once you have your store cupboard essentials, making sweet treats is definitely cheaper and more fun than buying (although a lot messier, I won’t lie!). I know we’re all super busy. When you add kids to herd off to school into the morning mix the last thing you have time for is making a sandwich. Say you spend £5 a day on lunch, maybe a takeaway coffee from your favourite coffee shop or a chocolate bar from the vending machine. That’s £25 per week or £1,200 a year (assuming you’re allowed holiday!)! If there’s two of you in the family buying lunch then that’s £2,400 a year. That money could be better spent on an amazing family holiday or paying off the mortgage. Discount supermarkets, like Aldi and Lidl, have cornered 5% of the UK Grocery market and they are continuing to grow. I swapped to Aldi about a year ago and my weekly shop is now 25% cheaper!!! I save so much money and I’m still surprised how cheap my weekly shop is every time I get to the checkout. The quality is brilliant and the range is improving all the time. There are a few things that you can’t always get at a discount supermarket. All I do is order a Click and Collect shop online – most supermarkets, like Walmart, will pick and pack and have it ready for collection free of charge. The added bonus of shopping online is that my temptation to go “off list” is minimized. I just set up my favorites and reorder each week to speed things up. If you like a nice chilled glass of wine in the evening or you’re having friends over for dinner at the weekend, alcohol can be the most expensive part of your supermarket shop. I like to bulk buy to make the most of any savings available. A lot of the supermarkets have promotions where you buy six bottles of wine and get 25% off. I have recently discovered and fallen totally in love with Aldi’s alcohol range. Their wine is AMAZING, really reasonably priced and in the UK you get free delivery. Mama needs her wine right?! We have a Tesco’s credit card so we collect our Tesco Clubcard points all year and then use them to buy all our food and alcohol for Christmas. Christmas is free at our house (well, since Santa brings the presents)! We do it every Christmas and it’s so handy since this is the only time of year when you have to feed the five thousand and not just the usual rubbish but gold-plated caviar and champagne because, well, it’s CHRISTMAS! The freezer was definitely my friend when it came to saving money on groceries. I buy in bulk things like larger packs of meat, divide it into portions and keep them in the freezer. Buying in bulk saves you a huge amount, especially if there’s an offer on at the supermarket. Over the weekend I do a big cook up and make about three dishes that I can then have freezer meals and use in the week. The number of times we used to reach for the takeaway menu when we got back from work when we had nothing planned and we were just too tired to cook. Now we head for the freezer! Our takeaways have decreased dramatically and that’s saved us a fortune. I also freeze loaves of bread and just take out what I need to defrost. Milk is frozen, parmesan, chunks of fresh ginger – you name it! It really reduces the amount of food waste we end up with. If you’re looking to save money or just reduce your spending, saving money on your food bill is a great place to start. 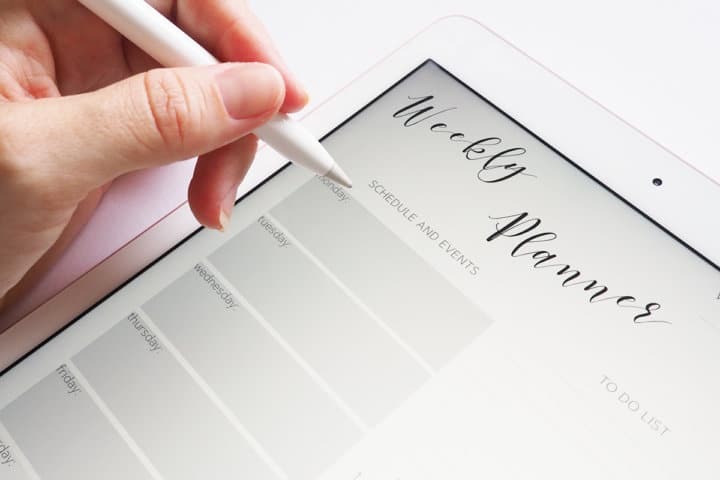 Start by planning your weekly menu, doing a stock check of your cupboards and writing a shopping list. Try to avoid the dreaded (and expensive!) top up shop by shopping before the weekend so you have enough food in the house on the two days of the week that you will actually be in! Or consider shopping every 5 days instead of every 7. Cook from scratch wherever possible. It’s not only cheaper but tends to be healthier too. Make your own treats to curb coffee shop temptation when you’re out and about. When you’re at work try to take your own packed lunches. Switch to a discount supermarket. This saved us an absolute fortune and we didn’t notice any difference in quality. Bulk buy your wine or beer and take advantage of the supermarket offers. Alcohol can be the most expensive part of your grocery shop so buying here there are offers are on can massively reduce your bill. 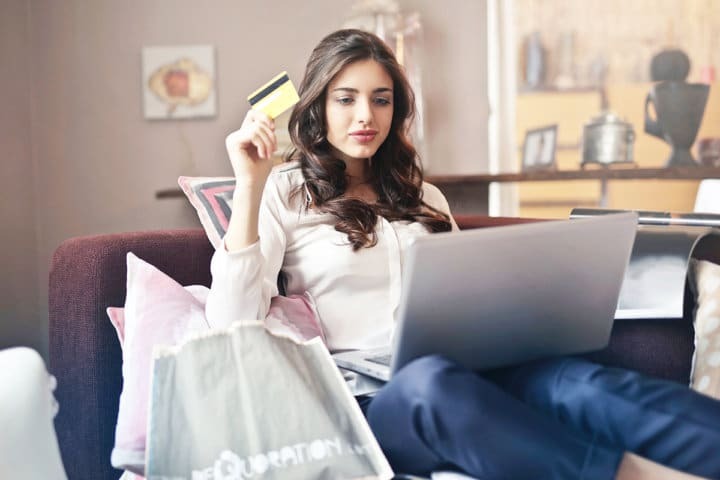 Take advantage of any points or coupons to get money off your shopping, particularly at expensive times of the year like Christmas or Thanksgiving. And finally, remember that the freezer is your bestie when it comes to reducing food waste and stopping you hitting speed dial on Domino’s! 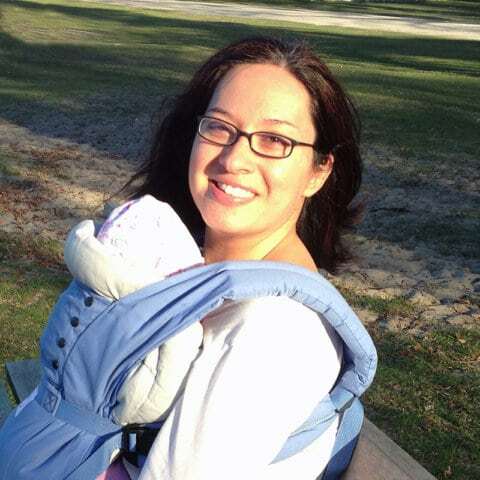 I hope these 10 tips help you to save money and meet your goal whether that’s having a few more months at home with your baby, paying off your debt or saving for something special. Hi, I'm Gemma! A tea-drinking, chocolate biscuit obsessed mum of two. After finding out first hand how hard it is to juggle a career and my lovely family, I started The Work Life Blend to help other mums in the same situation. I combine everything I've learnt about blogging and building an online business with my experience as an accountant in the corporate world to write about building a flexible income around the kids. So grab a cuppa (and preferably a chocolate biscuit) and read my tips on starting a business or blog like these posts...How to Create Your Own Logo for Free with Canva or How to Start a Blog for Beginners: The Super Simple Guide.